Like many people, every Christmas I’m on the hunt for fun handmade gift ideas. I scour the Internet (and my memory) for any ideas that are unique, easy, cute and fairly inexpensive. This year, I came to the conclusion that I would be making vanilla extract. Like many of you, around the holidays, I’m on the hunt for fun handmade gift ideas. I scour the Internet (and my memory) for any ideas that are unique, easy, cute and fairly inexpensive. This year, I came to the conclusion that I would be making vanilla extract. For this project, I bought 20 4-oz Clear Boston Round Bottles from Specialty Bottles and a 1/2 lb pack of Vanilla Beans from Saffron.com. 1/2 lb is roughly 45 beans. I also got a handle of vodka. 1. First, you’ll need to cut the vanilla beans in half lengthwise and then crosswise and divide them among the bottles. I used 3 beans for each bottle. 2. Then, pull out your funnel and pour roughly 1/2 cup of vodka into each container. 3. Next, put on the cap and wait!!! Easy-peasy, right? The steeping effect sets in quickly. The vodka goes from clear to a pretty amber color. Ideally, the vanilla should steep for at least a month, till the vanilla is a dark brown. The longer it steeps the stronger the vanilla flavor. For labels, I did a google image search for vintage vanilla labels. I found one right away that I liked and photoshopped a list of ingredients along with a Christmas note from Joe and I over the physician’s information (apparently, doctors distributed vanilla back in the day?) Regarding word choice, I was utilizing these gifts for business colleagues and older family folk, so I listed the ingredients as “Good Tidings, Ethyl Alcohol, and Vanillas Beans”. I also added a few bows with ribbon and raffia. It’s been a while since I posted a tutorial! Today, I’m going to share the process for creating a book wreath. Warning- no decent books were harmed in the making of this blog post. Nor were any library books destroyed. “Summer People” was a Target purchase a few years back. I can’t imagine re-reading this book or bestowing such a dragging story on any friends or family. I always liked the cover though- this book finds redemption in it’s physical appearance, ergo, it’s perfect for the following endeavor. 1. Paint the edges of the book using gray, brown or silver paint. This will help the pages to look aged. 2. Carefully rip all the pages out of the book. 3. Fold each page accordion, fan style. I made 5 creases in each page, folding the short way. Here’s my little helper, making a little weasel bed in a pile of the finished pages. 7. On the next layer, continue applying glue on the tabs, however, this time attach the pages with the tabs pointing down. 8. Continue making layers with the tabs pointing up. The final layer should be attached to the inside of the inner ring. You’re done! Great decor for any literary enthusiast! This book wreath will be hung up in our guest room on an antique window that we found under our basement stairs. I’m really in love with antiques lately! 2..Purchased Allen and Roth Paintable Wallpaper, Pattern: Ceiling Tile. 6. Over the next few days- half of the paper fell down- oh dear! We bought a bottle of boarder paste, which is technically used for hanging wallpaper boarders as well as a few tubes of seam repair. This stuff did the trick. Nobody ever said wallpapering a ceiling would be easy- not even me. 7. Next, I ordered some paint off of Ebay. I used Roman’s Paintable Wallpaper Coating in Silver. They used to sell this stuff at Lowe’s, but I believe the product itself has been discontinued. Hence the reason I ordered it off of Ebay. USPS- pay no attention to this blog post… is it legal to mail paint? My guess would be not-so-much, but I’m not totally sure. I applied the paint using a medium texture roller. I ran out of paint and had to order a second can off of Ebay. Nobody ever said this project would be a quick one either! Overall- this was a heckuva project! I might do one more glaze over the top to bring out the detail… we’ll see! For now- I’m happy enough to leave it alone! Step 2: Apply 2 coats of primer. I used Kilz Odorless Spray Primer. This dries in about one hour. Step 3: Apply 3 coats of paint. I used Valspar Interior Exterior Gloss in Antique White. This dries in about 20 minutes. 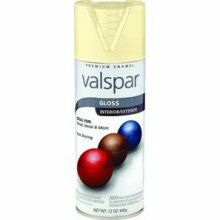 Step 3: Using a paint brush, apply a thin coat of Valspar Interior Faux Finish. This finish needs to be tinted when you buy it. I had it tinted “New Black” at Lowe’s. The finish is painted on with a paint brush and then wiped off with a damp cloth. This finish makes all the etching in this set pop out. Step 4: I spray painted the hardware an oil rubbed bronze. Here’s how it all panned out… I don’t have an after picture of mirror that goes on top of the long dresser. It’s done… it’s just currently crammed away in the townhouse! Whew! I’m pretty happy with it! However, I don’t think I will ever feel the need to spray paint anything ever again… If you’re interested in trying this method I recommend a trip to this blog for more instructions and inspiration: All Things Thrifty by Brooke. Joe brought home a surprise the other night…. I almost started to cry- I was so happy to get a girl in the house:) Her name is Stella and she weighs about 1 pound at 5 weeks of age. She was a campus stray that got separated from her Mom and brothers. Her and Carl are getting along pretty well so far. Initially there was some cranky hissing, but now he has taken on the role of Daddy- watching Stella play and sometimes carrying her in his mouth by the scruff of her neck just like a Momma cat! Nice to see Carl can be domestic! He looks like such an old kitty compared to Stella! re-inhabit their house for the school year. Good deal I guess! Add dry ingredients to mug, and mix well. Add the egg and mix thoroughly. Pour in the milk and oil and mix well.. Add the chocolate chips (if using) and vanilla extract, and mix again. Put your mug in the microwave and cook for 4 minutes at 1000 watts. The cake will rise over the top of the mug, but don’t be alarmed! Allow to cool a little, and tip out onto a plate if desired. EAT! This is definitely enough cake for two! Now we are all only 5 minutes away from chocolate cake at any time of the day or night! 1.Find a picture frame or a mirror… doesn’t have to be anything too pricey. I found mine at Goodwill for about $7. 2.Buy some chalkboard paint. I found mine at Wal-Mart although the lady in the paint department told me they are going to stop carrying it. They should have it at Lowe’s or Home Depot although our Lowe’s was sold out the day I went to buy some. 3. Remove the glass portion of the frame and apply 2 coats of chalkboard paint. 4. Let dry 24 hours. Season your new chalkboard using the wide side of some white school chalk. 5. Chalk away! These are great for posting dinner party menus or welcome messages!